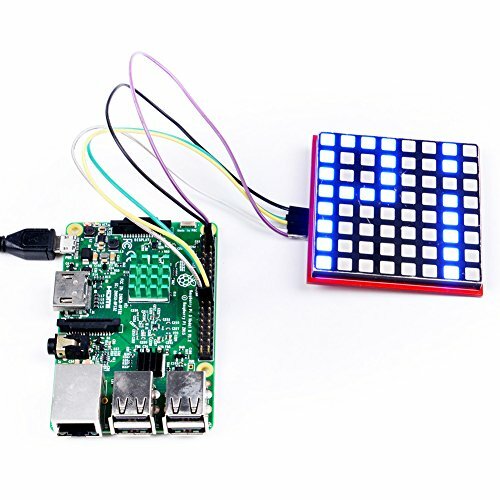 RPI-RGB-LED-Matrix is based on 74HC595 chip and it's an 8*8 dot matrix module that can be drivered by Arduino board, Raspberry Pi and even STM32 or STC89C serials development board. It communicates with your development board or your chip by SPI protocol, it's very easy to setup and use. You can use it to do a lot of interesting things, such as musical backdrop, music spectrum analyzer, and even in your bicycle taillights. RGB three-color combination can be a lot of bright colors. You can just follow this following chart to set it up with your Raspberry Pi.